G Suite for Education is a very popular solution. 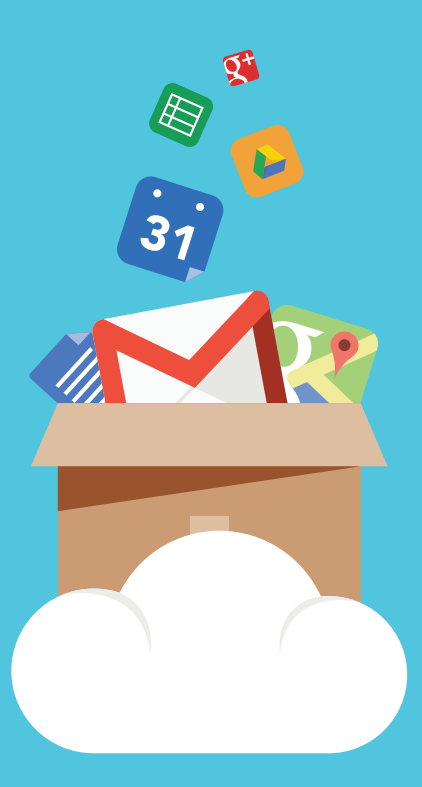 Many educational institutions moved to G Suite when it was called Google Apps. The cloud-based nature, friendly platform options, and cost-effective nature of the solution has made a huge difference for educational institutions. While many of these educational organizations have been able to largely replace Microsoft technology, they are still struggling with how to manage user access and control. Google made a strategic move towards educational institutions many years ago. It could be due to their deep roots at Stanford or perhaps it was just that .edu organizations were just drawn to the Google Apps platform. Whatever the reason, G Suite is enjoying a great deal of success in the education market. G Suite is a cloud hosted solution for email, productivity applications, file storage, and video conferencing. That means that IT organizations can avoid the purchase of hardware, management of data centers, and on-going maintenance of hardware systems and software. It is a massive change in their responsibilities and frees IT admins up to focus on more critical items. G Suite works on just about all major platforms. It is a browser-based solution, so that means that educational organizations have far more flexibility in choosing machines for their environment. It also means that schools can be far more flexible about the machines and operating systems they recommend to students and parents. The translation here is a massive cost savings for the schools and families. Google makes it highly attractive for educational institutions to leverage G Suite. They know that if they can hook students early that they will use G Suite later in life – perhaps in college or at their job after school. This strategy worked for Apple many years ago and it is a page that Google is ripping out of the playbook. The value for Google is far higher for students to have GApps accounts. It’s easy to see why G Suite is making huge inroads in the .edu sector. One major challenge, though, that Google has not solved is directory services. Their G Suite directory (or previously called Google Apps directory) is just a user management system for G Suite. G Suite identities don’t control access to a wide variety of other platforms, applications, WiFi, and more. For many educational institutions this is often handled by OpenLDAP or sometimes by Microsoft Active Directory. Both of those legacy, on-prem directory services are difficult to manage and expensive long-term. As a result of the move to G Suite, IT admins are searching for a complement that can help G Suite to serve as their central identity provider. This solution is called Directory-as-a-Service®. Similar to G Suite, it is cloud hosted, platform agnostic, and cost-effective. 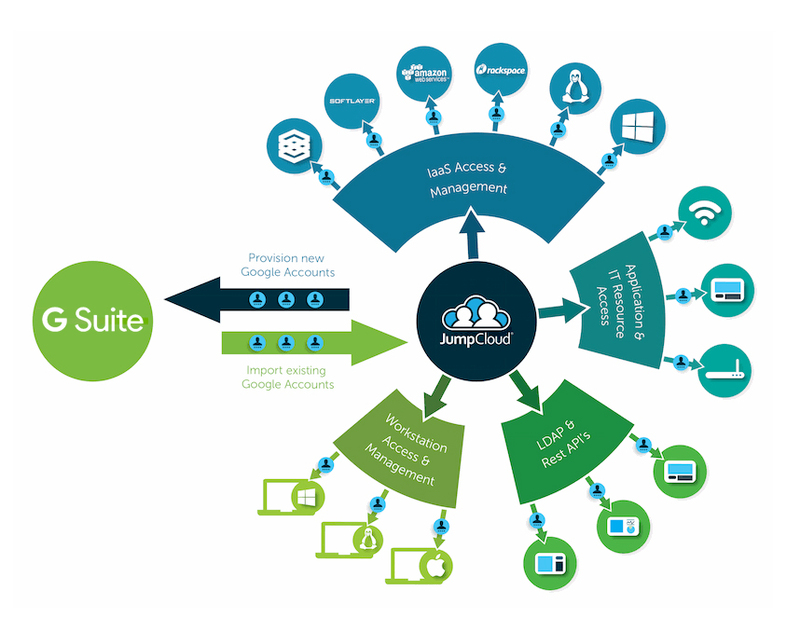 It centrally manages user access to a wide variety of IT resources including G Suite, Office 365, AWS cloud servers, Windows / MacOS / Linux machines, and WiFi. Because it is delivered from the cloud, it is low maintenance for IT and it has excellent .edu pricing. 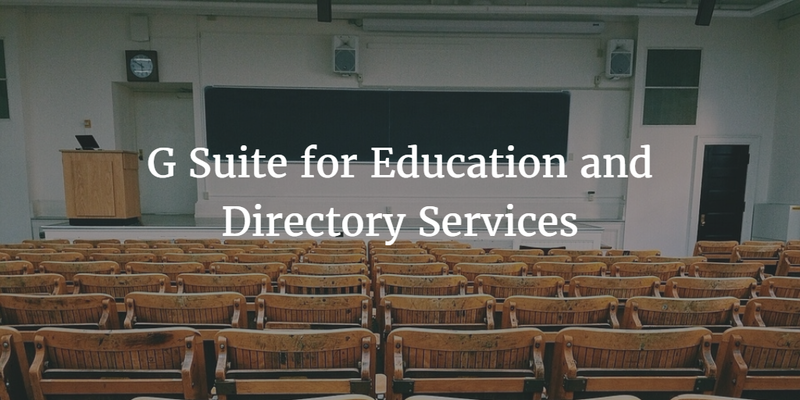 If you would like to learn more about how G Suite for Education dovetails with Directory-as-a-Service, drop us a note. Or, feel free to sign-up for a free account. Your first 10 users are free forever. If you decide that Directory-as-a-Service is right for you, contact our sales team to learn about our .edu discount.